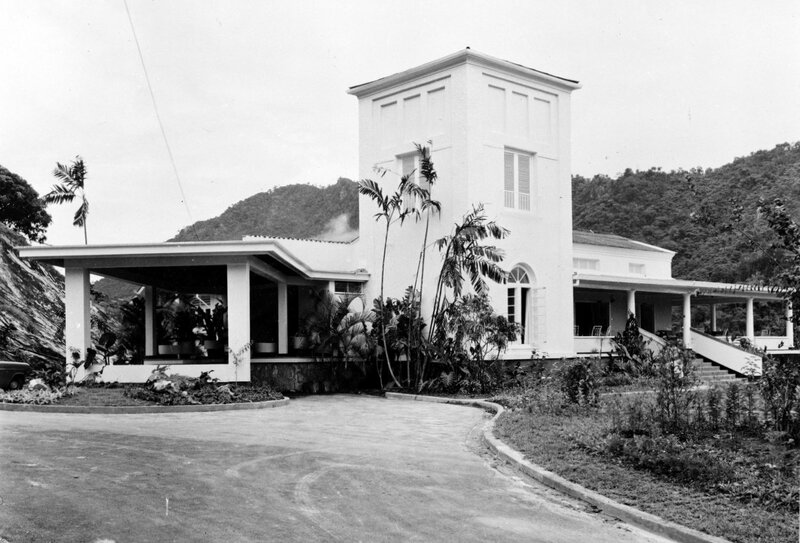 Trinidad and Tobago became independent in 1962. 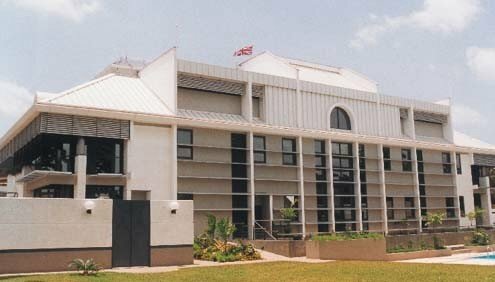 The British high commission inherited two houses that had served pre-independence trade commission staff. One, built in 1925 on the site of 36 Elizabeth Street, leased for 199 years from 1920, became the deputy high commissioner’s residence (and was bought in 1964). The other, at 1 Ellerslie Park, bought freehold in 1955 for £3,600, on which a house for the trade commissioner was built in 1958 for about £13,000, became another senior staff house. 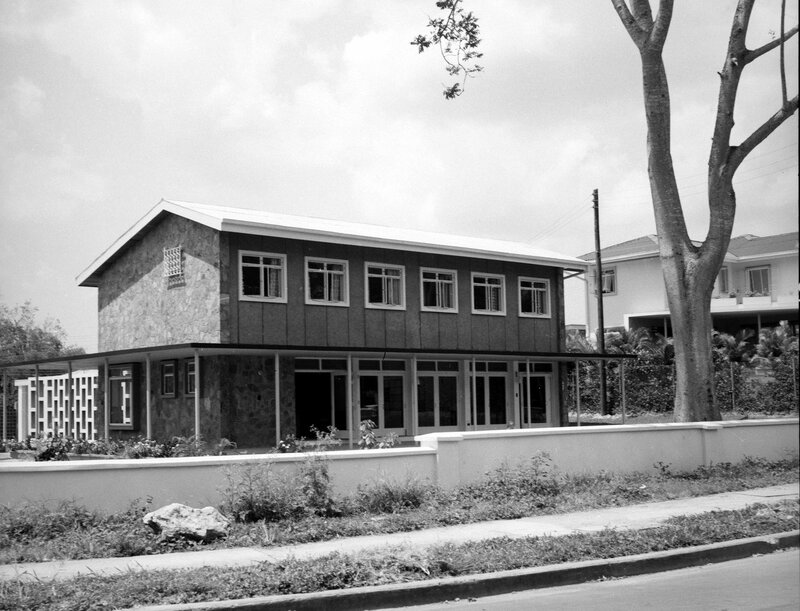 A house called Hill Side, at 15 Beaumont Avenue, designed by Mence and Moore, was bought as the high commissioner’s residence in 1961 for about £40,000 plus about £20,000 on ingoings: its steep site comprises 0.75 hectare. 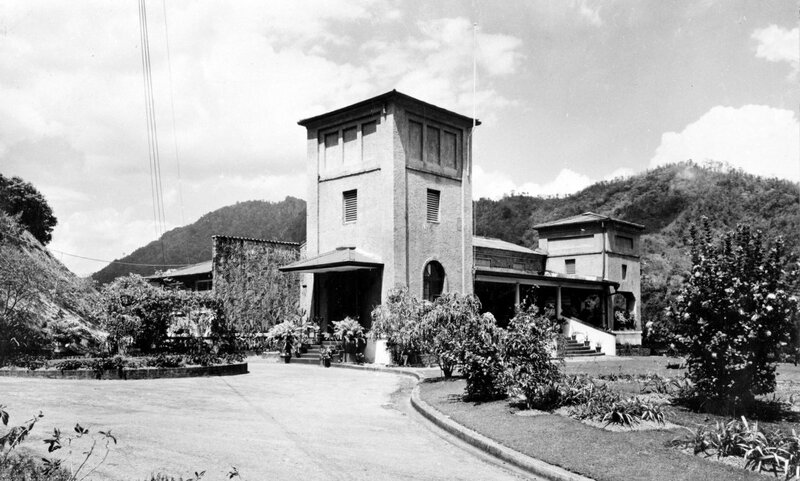 The 3rd and 4th floors of Furness House, 90 Independence Square, were leased in 1962. By the late-1980s, the area had become unsuitable and a new site was bought in 1990 at 19 St Clair Avenue, for which David Chapman, an FCO in–house architect, designed new high commission offices and, in collaboration with local architects Design Collaborative, oversaw their detailing and construction within a lease/leaseback contract with developer Barbados Mutual Life Assurance Company. HRH Prince Philip opened the building in 1994. 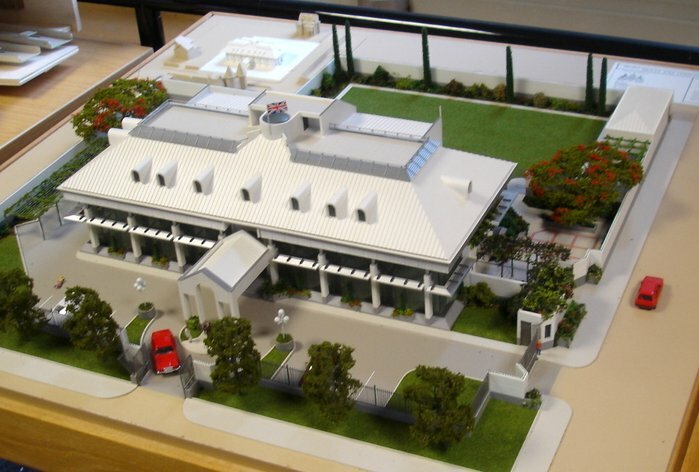 Presentation model of new offices, 1991. Garden frontage of completed offices, 1994.